Huawei has announced its new flagship smartphones, the Huawei P10 and P10 Plus, at this year’s Mobile World Congress in Barcelona. However, it appears there may be a third as yet unannounced P10 device called the P10 Lite. 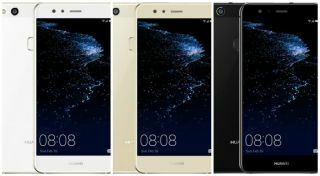 According to Android Planet, several Dutch retailers including Cool Blue and Belsimpel have listed the Huawei P10 Lite on their sites at a price of €349 (around £297/ $370/ AU $481) with official images and specifications. They’ve not just listed it once, either, as it’s there in its three color options: white, gold, and black. In terms of design the P10 Lite is quite different from the other P10 flagships in a way that makes them quite difficult to tie together. It has a reasonably premium look thanks to its glass and metal casing but its fingerprint scanner is located on the back rather than the front. The P10 Lite listed on these sites has a 5.2 inch screen of 1080p resolution, running on the Kirin 655 chip with an octa-core A53 processor and a Mali-T830MP2 GPU. It also has a 12 MP rear camera and 8MP front camera with a 3000 mAh battery. The P10 Lite will run on Android Nougat with Huawei's EMUI 5.1 interface laid on the top, sporting 4GB RAM with 32GB of expandable storage. It certainly seems like a natural progression from the P9 Lite, even though it's not a particularly big jump in terms of spec. It’s not clear when this phone will launch or in which markets as the sites only have the release listed as ‘soon’ and Huawei is still to make comment.